A story of courage, fear, and defiance based on the authors own experience. 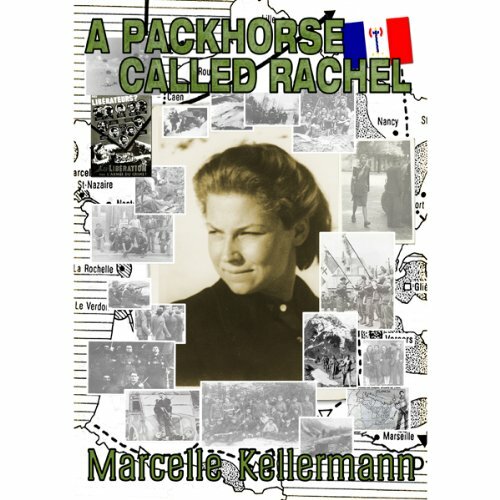 A Packhorse Called Rachel is the remarkable tale of a girl of 20, daughter of a Jewish father, caught in the extraordinarily brutal world of France in 1944. Rachel moves through the book with her faithful dog Nourse, as her work with the Maquis based in the Auvergne takes her perilously close to danger. The account is based on personal experience, and the description of historical events is as true as memory will allow. It is beautifully written and at the same time captures the painful and lonely reality of life in the Maquis. Although all names have been changed, the writing includes some fine characterisations of the friends and foes the heroine meets and it describes the hardships resistance fighters, the Maquis, in the Auvergne had to face, the climate prevailing in winter, the Vichy traitors, and the hostility of ordinary people in Vichy France. Rachel overcomes the initial animosity and mistrust of the lecherous and alcoholic farmer Raboullet on whom she comes to rely; the wrath of the Gestapo, the betrayal of St Pré, a love and its tragic loss, and yet she triumphs. From the opening raid to the closing trial the book gives an incisive view, as we understand the mind and soul of the resistance better with each page. This is the story of a young woman paralleled with the struggle of a nation as it regains its courage to fight back. This is a top level audio book - great narration and the author really comes across as someone who lived what they tell.